Light Arch, Junction with retaining wall on south side. 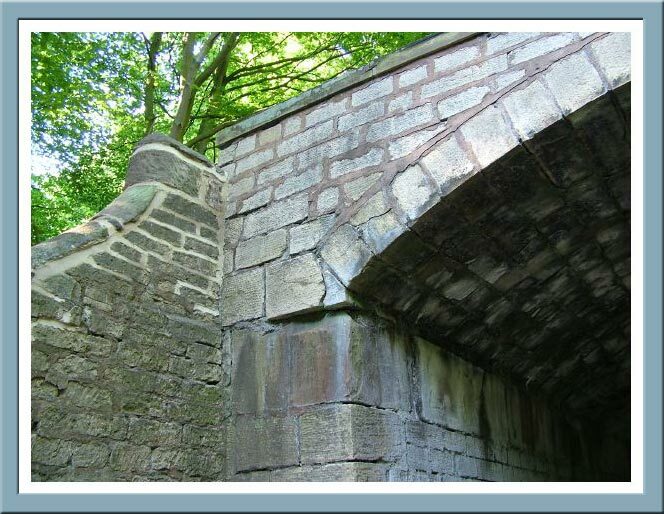 Note deep course of stone beneath arch springer, suggests where arch was raised to accommodate the railway. Soot still to be found on soffit of arch.